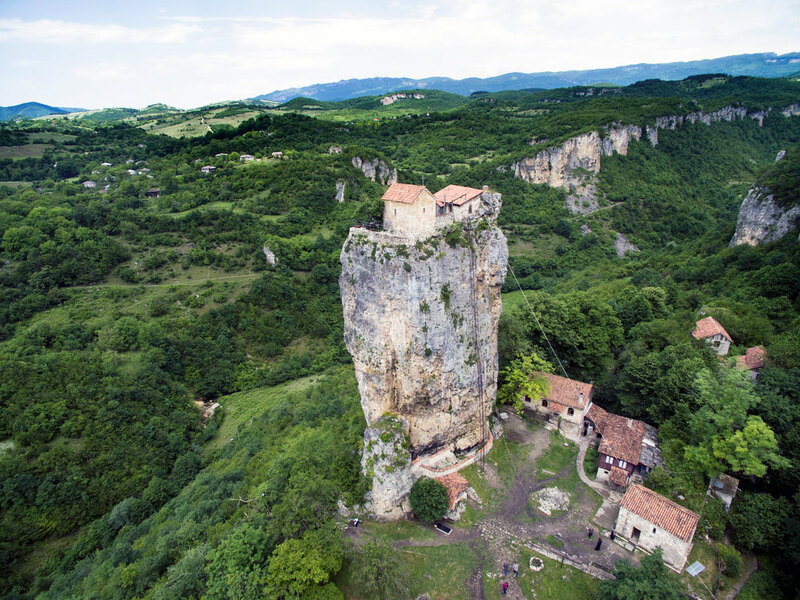 The Katskhi pillar or the Pillar of Life and a symbol of the True Cross is a natural limestone monolith located in the village of Katskhi in western Georgian region of Imereti, near the town of Chiatura. It is approximately 40 metres (130 ft) high. The ruins on the church on the top of the rock formation was systematically studied from 1999 to 2009 and had been dated as the 9th or 10th century. 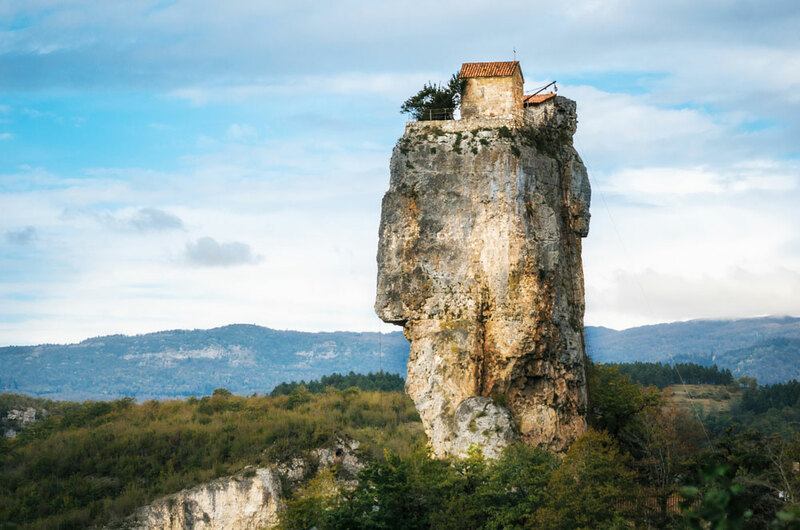 Religious activity associated with the pillar was revived in the 1990s and the monastery building had been restored within the framework of a state-funded program in 2009.